In December 2011, the World Trade Organization approved Russia's membership, which had been sought since 1993. In April of this year, just three weeks after then-President Medvedev submitted a new draft Civil Code to Parliament, the Duma adopted in its first reading, and virtually verbatim, a new Draft Law which will amend portions of the Russian Civil Code. The Draft Law is slated to be enacted by the fall of 2012. Recognizing the need to update the country's entire private law system, the new Russian Civil Code can be seen as something more than domestic legal reform. Not only will it showcase Russia's best attempt at improving corporate governance on the eve of its WTO accession, the new Code marks the greatest shift in Russia's legislative and economic transformation since the fall of the Soviet Union -- and it is occurring under the tutelage of President Putin, who has been widely criticized in the West for the manner in which he governs, and his approach to economic relations with the West. The Draft Law is a significant improvement of the existing post-Soviet Civil Code, designed to introduce fundamental changes to the existing system in a wide range of issues, including property rights, contracts, obligations, security instruments and intellectual property. The Russian government recognizes that it needs to encourage Russia's full integration into the global economy, and promote foreign direct investment, in order to counter the commonly-held perception that Russia can be a risky place in which to do business. Emphasis has been placed upon improving corporate governance and transparency, introducing new legal forms and corporate vehicles, and expanding commercial diversity and transactional space. This should bode well for Russia, and for President Putin, at a time of heightened criticism from the West, particularly on the question of whether Russia can live up to the rule of law and widely accepted norms for human rights -- now framed as essential "pillars" of the WTO framework. Russia's accession to the WTO should be an area of focus for western policy makers, as it has indeed elicited a very favorable legislative response and is evidence of Mr. Putin's intention to steer the Russian juggernaut of an economy in a western direction. So it is ironic that the U.S. Congress is in the process of implementing the Sergei Magnitsky Rule of Law Accountability Act, a piece of legislation designed to replace the Soviet-era Jackson-Vanik Amendment, and intended to penalize Russia for perceived human rights violations. We wonder whether the U.S. Congress is focused on the right sets of issues at the right time vis-à-vis Russia. Rather than use a carrot to try to obtain Russia's assistance on a host of foreign policy-related issues, the U.S. Congress appears to prefer to use a well worn Cold War stick to scold Russia for its imperfections. This is unlikely to elicit a favorable response from Mr. Putin, at a time when the U.S. needs Russia more than Russia needs the U.S. to achieve its foreign policy objectives. Adoption of the Magnitsky Law is particularly ill timed, given what the U.S. would like to achieve in Iran and Syria. Russia has a pivotal role to play in achieving the desired outcome in both places. Scolding Russia has never resulted in warmer relations between the two countries; it is certainly not going to do so now. Rather, Russia will more likely prove to be an impediment on both subjects, at least in part in response to adoption of the Magnitsky Law. Russia should be applauded for taking such a responsible approach to the adoption of a WTO-friendly private law system in such a swift manner. It should also be held to task for ensuring that the new Code is more than just words on paper, but actually results in substantive favorable change in how foreign trade and investment is conducted in Russia. Likewise, the U.S. should treat Russia with respect, not only as a new member of the WTO, but also as a critical component to arriving at a peaceful resolution regarding Iran and a more timely resolution in Syria. Lecturing Russia on human rights while seeking its collaboration on these and other highly important issues are incompatible goals. Kambiz Behi is a partner at Mostafavi & Associates who teaches law and social sciences at universities in the U.S., Russia and Belarus. 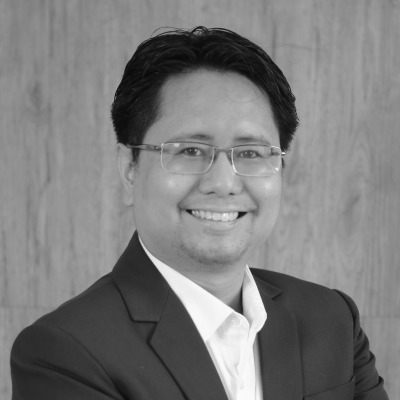 Edsel Tupaz is managing partners of Tupaz and Associates, and teaches at law schools in the U.S. and the Philippines. Daniel Wagner is CEO of Country Risk Solutions and author of the new book Managing Country Risk.